TOKYO -- Kobe Steel's fake data scandal expanded to its core business after the company admitted "inappropriate actions" related to steel wire produced overseas. Customers have been informed about the issue, which has been resolved, Tokyo-based spokeswoman Eimi Hamano said, declining to provide details. 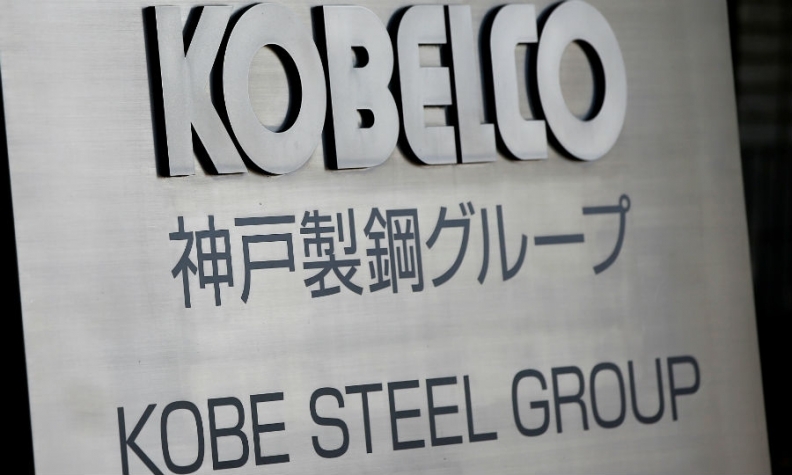 Kobe Steel falsified quality certification data for steel wire used in auto engines and to strengthen tires, the Nikkei newspaper reported Friday. Kobe’s admission of misconduct in its steel business, which accounts for about a third of revenue, ratchets up the pressure on Japan’s third-biggest steelmaker. The company’s disclosures had up until now dealt with aluminum, copper and iron ore products used in everything from cars to computer hard drives to Japan’s iconic bullet trains, although there haven’t been any reports of products being recalled or safety concerns raised. The deepening scandal "suggests that this is company culture, not just the actions of a few rogue employees," said Alexander Robert Medd, managing director at Bucephalus Research Partnership in Hong Kong. The question to be resolved is "were they trying to save money or just unable to produce the right spec in the right quantities," he said. Kobe revealed on Sunday that it had fudged data on the strength and durability of metals supplied to as many as 200 customers around the world, including Toyota Motor Corp., General Motors and space rocket-maker Mitsubishi Heavy Industries Ltd. The latest company to comment on its links to Kobe, Ford Motor Co., said Friday it used aluminum from the company in its Mondeo car hoods in China, although it hasn’t confirmed whether the parts were compromised. Daimler and PSA Group denied a Nikkei report on Friday that they had received materials with falsified data from Kobe Steel. Both companies said the Japanese company was not one of their suppliers. The affair has wiped US$1.9 billion from Kobe Steel's market value and led to speculation it could be broken up. Japanese automakers including Toyota, Nissan and Mazda are investigating whether falsely labelled products supplied by Kobe Steel have impacted the safety of their cars. Investigations have been completed on about 100 of the companies that Kobe supplied, CEO Hiroya Kawasaki said Thursday.